As a first generation Asian American, I have always been aware of the lack of representation of Asians in senior leadership positions in tech and beyond. 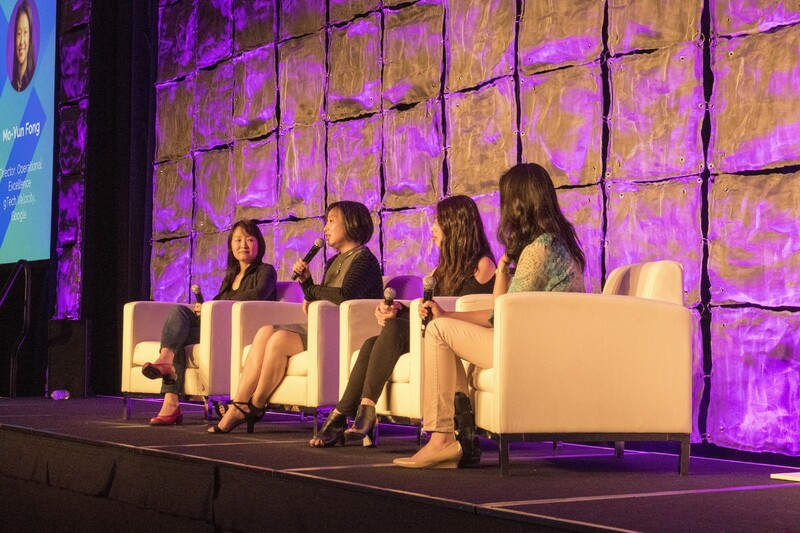 On April 8, Leap.ai hosted COMPASS — a career conference for Asians in Silicon Valley to hear from such leaders. It was a truly inspiring event where I finally felt like I had role models to look up to. I was awed by the women and men who shared their personal stories of persevering in the face of rejection and failure, overcoming challenges and finally making it to the top. 1. Everything starts with doing your job really well. People always want to know, “How do I build a strong relationship with my manager? How do I work on a new project I’m interested in but that’s outside my domain? How do I get promoted?” However, before you can benefit from tactical advice, you must have a solid foundation. This is the best way to build trust and respect among your peers and managers. Even if you don’t enjoy your current job or the tasks that are delegated to you at work, it is really important to do them well. Once you have a reputation for doing good work, new doors of opportunities will naturally open up and people will be more willing to let you try new things. 2. Find elements about your job that make you feel fulfilled; after all, no one wants to promote an unhappy worker. 3. Don’t shy away from your fears. Conquering your weaknesses could be your greatest strength. Ramaswamy hated public speaking early in his career. Nevertheless, he practiced and actively sought constructive feedback. Once, he received 15 minutes of written feedback based on a 90-second speech. It was humbling to say the least, but he had a strong willingness to learn and the drive to get better. His persistence and hard work clearly paid off as he was one of the audience’s favorite speakers at COMPASS! Similarly, Jia Jiang, Owner of Rejection Therapy, used to be terrified of rejection. This gave rise to his “100 days of rejection” project, where he purposely put himself in situations where he would have to face rejection. This exposure therapy allowed him to overcome his fear and gave him some of his most memorable life experiences. Now he talks about rejection for a living. It’s easy to become preoccupied by your own needs and what directly affects you. But what about the challenges that are facing your boss? Understanding your boss’s pain points and then suggesting creative ways to solve them makes you stand out. 5. Take personal responsibility. You are the ultimate owner of your career. She sets a great example of taking ownership of career — from convincing Stanford Business School to accept her from the waiting list to serving as the VP of IT at Cisco with no technical background — and believes that we all need to hold ourselves accountable for what we want. No one else can succeed or fail for you. 6. Your career is a marathon. And you’re not running it alone. What is your north star? If you don’t know what you’re aiming for in your career, you won’t get there. When Li Fan, SVP of Engineering at Pinterest, recounted her experience at Baidu, she remembers a period when the company was going through a tough time and she was doubting if she wanted to stay. But she decided to stick it out and her focus and long-term thinking paid off. Half a year later, she was promoted. Through this, she built trust within her company and these strong interpersonal relationships carried on with her to the next opportunity. 7. Taking initiative is just the start. Execution is key. People remember a job well done not a job well started. Once you take the initiative to do something, it’s the behind-the-scenes planning and execution that brings your idea to life. Panelist Maria Zhang, CTO of Tinder, shared how in 2010 she quit Microsoft to start her own mobile company without knowing anything about mobile development. She took the initiative to learn and followed through on her idea. Eventually, Yahoo acquired her company. 8. Always seek improvement. What got you here isn’t what will get you there. 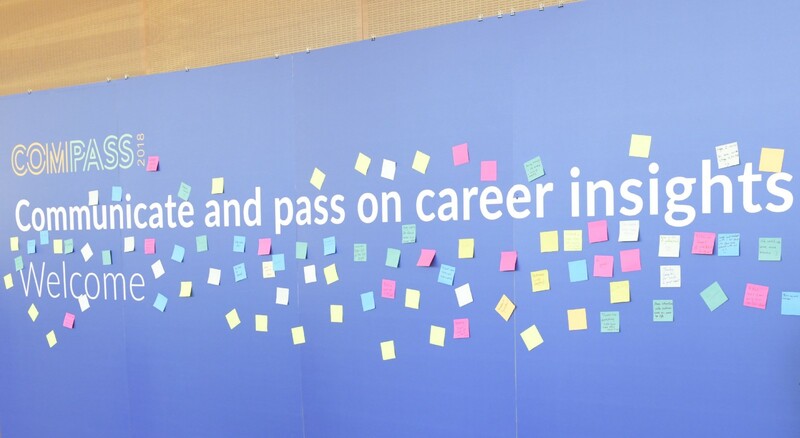 Ning Li, VP of Engineering at Facebook, says that she always chooses projects that will teach her 1–2 new skills each time. This drive and a willingness to learn is what makes her successful. Mark Palatucci, Head of ML at Anki, says, “It’s very easy to become obsolete.” You must proactively acquire new skills and improve your market value. Think beyond what you are capable of today to what you want to be capable of several years down the line. 9. As a leader, breadth of knowledge is more critical than depth of knowledge. When you start out in your career, being really good at one thing (having depth) is important. But as you become a leader, having breadth of knowledge is how you’ll be able to successfully guide your team. This means understanding all of the parts that make a great product (from UX to engineering to sales to marketing). Don’t just stick with what you know now. Expand your knowledge and be well-versed in new trends as well as existing domains. 10. Developing your career involves a lot of give and take, but you should always give more than you take. Our natural default is to ask for things that we don’t have, but if we make it a habit to think about what value we can provide to others, we’ll have more meaningful connections, mentorships and careers. For example, if you’re asking someone for advice, see if you can offer your expertise in another area that could help them. People remember when you help them and often it’ll pay off when you least expect it. About the Author — Vivian is passionate about working at the intersection between education, career, and tech. She currently leads Customer Success at Leap.ai, a career development platform that helps professionals find career success and happiness. Prior to Leap, she was with Girls Who Code and TFA after graduating from Yale. Sign up on leap.ai/advisor to get a free 1:1 advising session with industry leaders in tech!